Whenever I look in the mirror and see my crack lips I always tend to wince in dismay. Of course in our humid and hot weather, this is a common issue amongst boys and girls alike. However for girls, we always enjoy trying on different types of lip colors - be it lipstick, lip balm- you name it but a common problem with this is that the color won't last and the skin will begin to peel. On my end this was my unfortunate issue and even though I have tried all sorts of remedies to keep them hydrated, my lip still remains cracked and dry. Now as you can see from the Right Picture that even after a strong lip color has been applied, my lips still looks dry and chapped after the application. 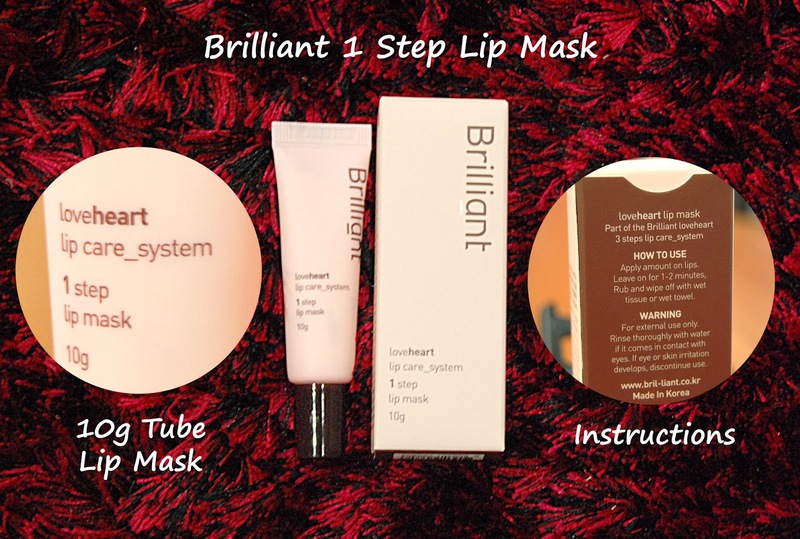 As I was on the edge on giving up completely, I received an email from Hishop on reviewing a beauty product called Brilliant Lipcare Set 1-3. I have actually heard a lot of raves on this product but hey, I am a firm believer of seeing it for myself to believe the results. Last week, I received the products in HiShop's lovely pink box. I simply adore their packaging, don't you? The products included together with HiShop's Brilliant Lipcare Set 1-3. 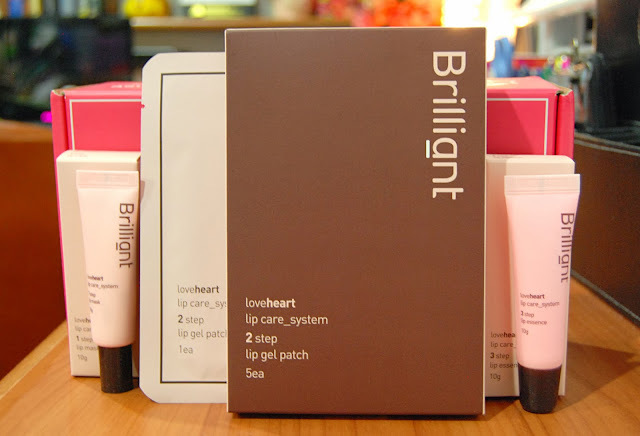 Wonderfully packed, I received 1x Brilliant 1 Step Lip Mask, 5x Brilliant 2 Step Lip Gel Patch, 1x Brilliant 3 Step Lip Essence, 1x HiShop RM20 Cash Voucher, 1x MilkDeal Coupon along with 1x White.My Coupon. Now what you might not know about Brilliant Lip Care was the winner of Special Care Beauty Brand Grand Prize at Asia Model Festival Awards. I have also heard that this regime has captured quite a few hearts amongst Korean Celebrities as well. 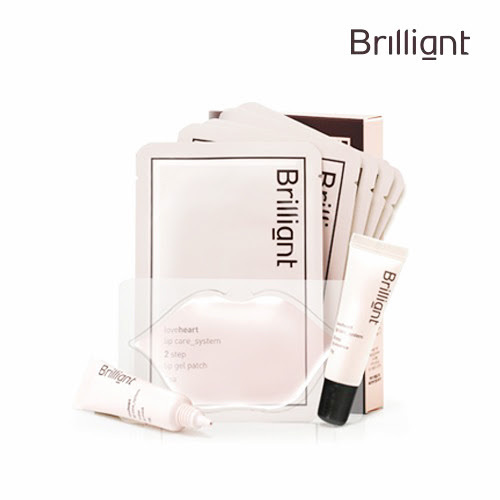 Being manufactured in Korea, Brilliant is a beauty brand that promotes raw materials and ingredients in their products to ensure that the skin's texture is not compromised and remains supple and moisturized after application. Let's put a highlight on the main products shall we? 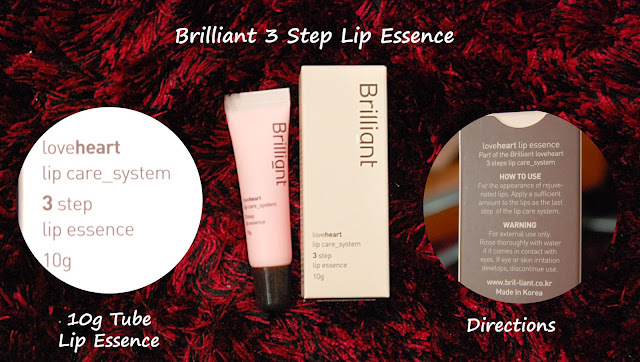 This Lip Care Range consist of 3 product which will have to be followed in sequence to achieve supple lips. Now let's start with the first step. Stepping in with a light pink packaging, this Brilliant 1 Step Lip Mask comes in a 10g Tube. What I like about the packaging is that you are able to control the amount that comes out. Implemented with a narrow tip at the top, we can perceive the Frosted White Liquid Lip Mask that is unveiled. Now apply this over your lips generously. As you can see, the white frosted liquid has slowly turned into more of a scrub substance to take off all the dead skin on your lips. Gommage; soft cream texture that exfoliates without irritating the lip for Hypoallergenic Exfoliation. Mineral Moisturizer; Macadamia Seed Oil that recovers cracked lips and activates the skin cells. After 2 minutes, you will feel the access lip mask start to harden. Take a moist cotton pad (as shown above) and wipe your lip gently. 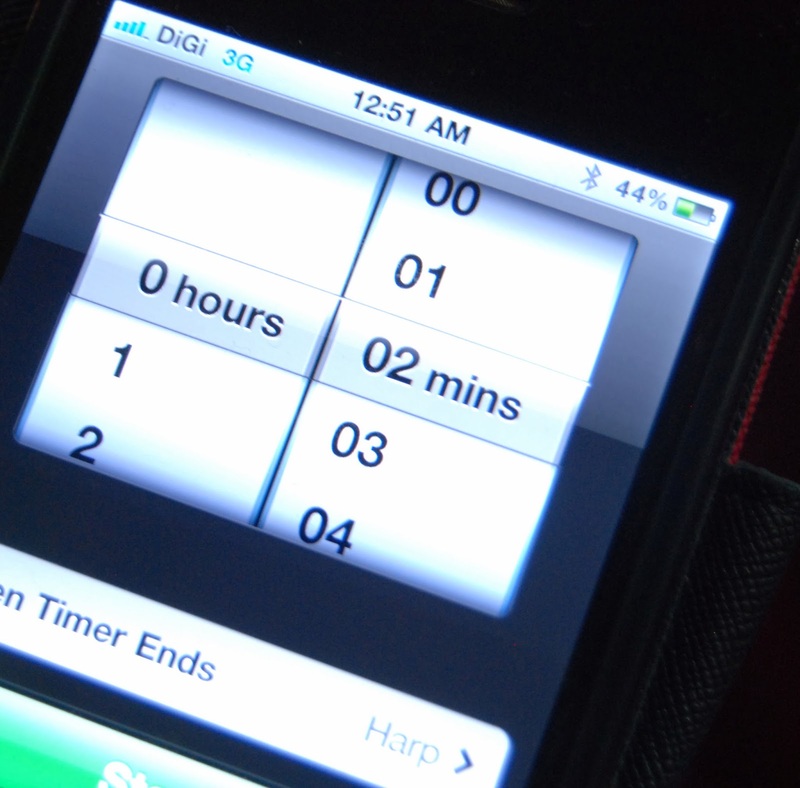 Make sure you get everything off. This box carries 5 sachets. You can spread the usage out within 2 weeks to be used at least 2-3 times per week if your need to moisturize your lip is dire. Looking at it, it seems to be a pretty big lip gel patch. Nonetheless when I tried it on, it fitted quite well. Apply the Gel Patch firmly on your lips. 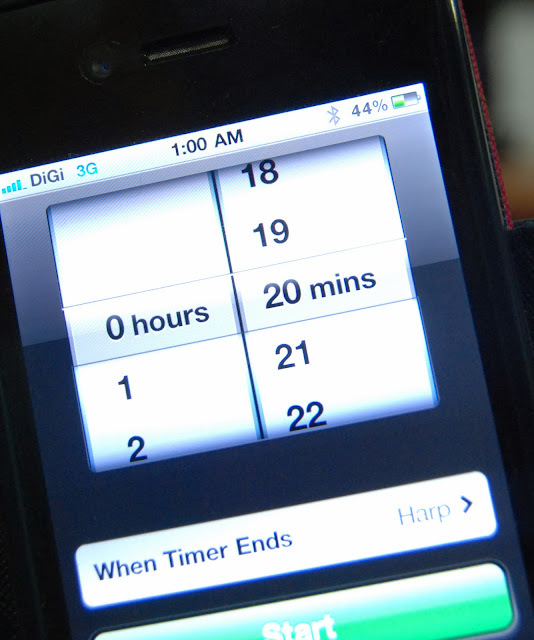 Tap the corners to make sure that your entire lips have the patch. Once you are done, tap once again but this time all around your lips to absorb extra moisture and essence. Supply Nutrient; Vitamins and Fruit Acid infused from peach and blueberry to strengthen the skin layer and cleanses dead skin cells on and around the lips. Exfoliation; Grape Seed Oil that inhibits active oxygen. Soothing Moisture; Alantoin to recover rough and chapped lips to become smooth and soft. This time round, set your timer to 20 minutes. I took a fancy on playing Candy Crush on my Iphone as I waited to the gel patch to moisture my lips. Gently remove the gel patch. 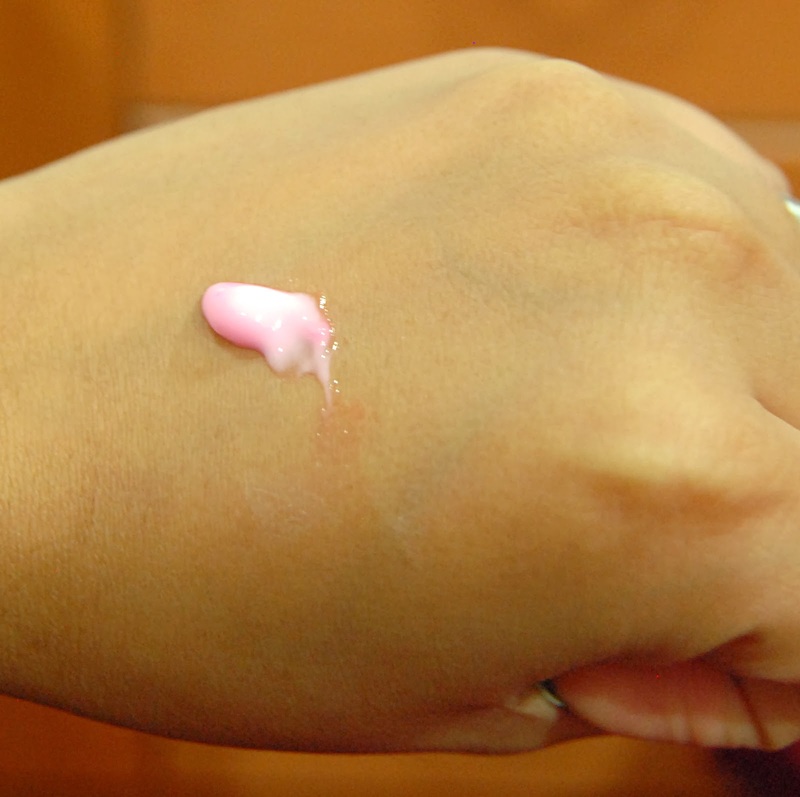 You will notice that the gel patch is now dry as the moisture has been used up. After the removal, my lips felt really soft. Usually I would still have some hard skin layered at the side of the lip, but after this second step, my lips felt smooth all around. 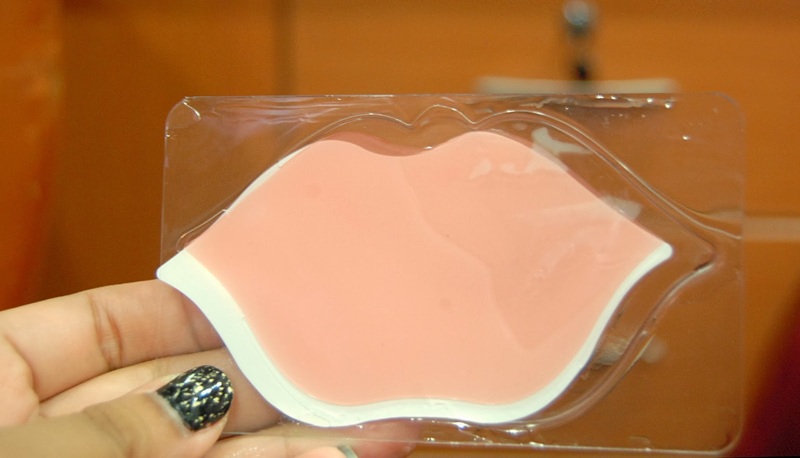 By using the lip mask and now the lip gel patch, we can now see the enhanced suppleness of the lips. This 3 Step Lip Essence comes in a slightly more pinkish packaging when compared to the 1 Step Lip Mask but also holds the same amount of 10g in its tube. The 3 Step Lip Essence reminded me of a lip balm I had a few years back. The color was a little bright but it blended well into my lips when applied. Place a generous amount on your lips. Start from the center and blend it outwards. Make sure you get to the inner corners of your mouth, as those are the highlight areas on where your lips get dried the most. Skin Protection; For Soothing the dried areas and preventing the lips from getting damaged skin layers. Color Change Essence; Gives a plump pink color after applying white essence. Intensive Moisturizing Effect; Rebuild Natural Protection Layer, increased nutrients and helps regain moisture. Overall, the whole lip care regime took me around 35 minutes. It is a light application that does not leave your lips feeling oily or sticky.For those who are having trouble with cracked and chapped rough lips, I strongly believe this could really work for you. Application should be at least once a week, though as I have mentioned above, you can do it 2-3 times a week if your need is dire. You could say that I am now a firm believer in Brilliant Lip Care and I have been doing this routine for the past 1 week and I am very happy with the results. You truly have to try it to believe it. and you can purchase them via their HiShop Website. 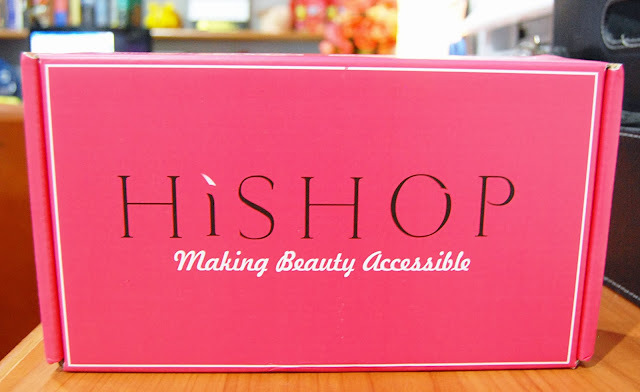 Once again, thank you HiShop Malaysia for giving me this opportunity to do this lovely beauty review. It is definitely a product I shall never forget.